After unveiling a full collaborative capsule last month, Vans and Disney have continued to celebrate Mickey Mouse‘s 90th anniversary with a Holiday 2018 release. The new commemorative capsule is designed to celebrate how Mickey Mouse has evolved over the decades. 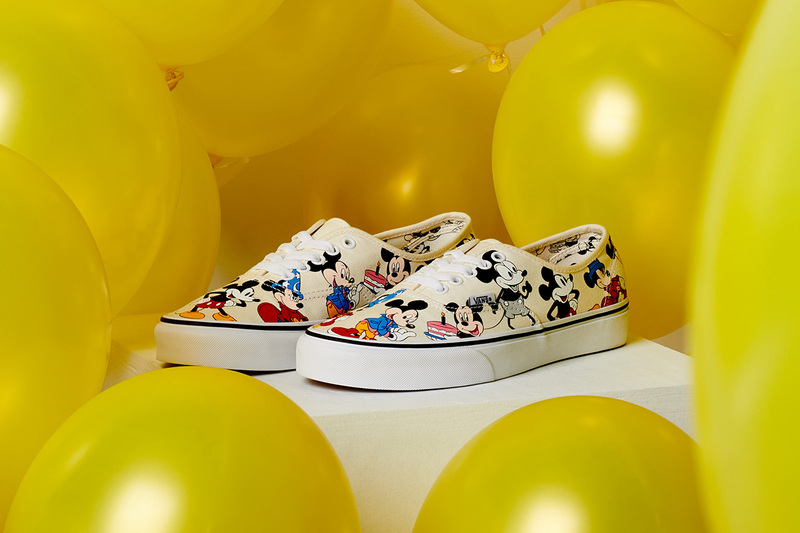 The focal point of the capsule is a new take on the Vans Authentic silhouette, which features an off-white upper adorned with an all-over print of different Mickey Mouse illustrations throughout the years, including the character with a birthday cake. The sneaker is then finished with an exclusive Disney x Vans logo on the footbed. As well as the footwear, the release will also feature an apparel capsule consisting of a long-sleeve and Jockey Hat. Both of these feature a design highlighting memorable moments from Mickey Mouse’s 90-year-history. The full capsule will be available from the Vans web store on November 16. In other Vans news, the brand recently dropped a “Vanosaur” collaboration with Barneys. The original colorway returns as a Black Friday special.